You may or may not be aware that Bardley P. Beaulieu and Night Shade Books have recently parted ways. You can read the full story here. So the long and the short of it is that the author is re-launching his series, The Lays of Anuskaya, in new ebook format. 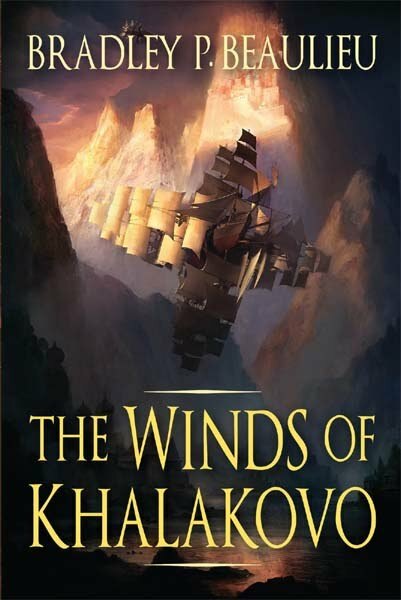 And you can download the first volume, the excellent The Winds of Khalakovo, for only 2.99$ here. And the second installment, The Straits of Galahesh, is now available for 4.99$ here. The first two books were published by Night Shade books and the trade paper backs are still sold by them. This is only the ebooks. He has also just been signed to a three book deal by DAW. I believe the correct term is hybrid author. He does both. First guy was being sarcastic, I'm pretty sure.